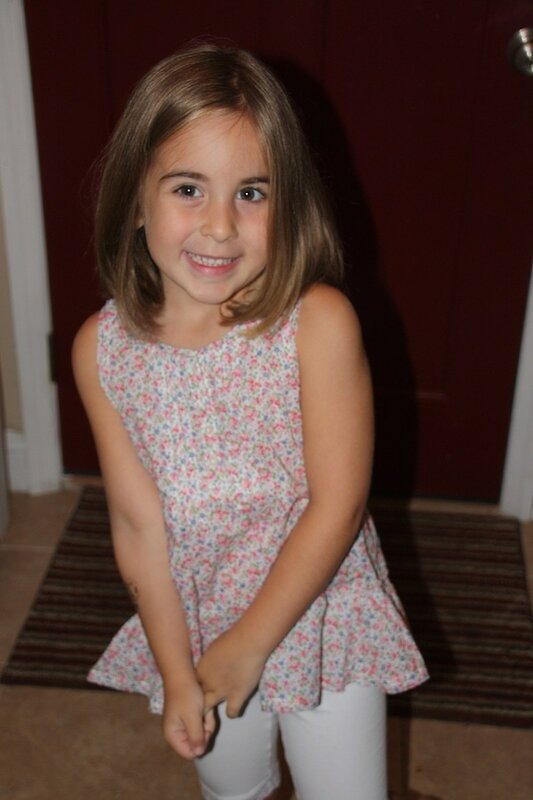 The most important thing that happened yesterday was NATURALLY celebrating the first day of school with Natalie. I had no idea it was going to rain and unfortunately I didn’t have any rain boots that fit the poor girl, so she ended up wearing flip flops during the storm. You’d think I had some time to prepare for this school year. You know, like an entire summer!! I ended up buying her two shoes from Zappos because after spending several HOURS at the mall with her – we came up empty handed. I’m not about to start with the laces yet – so I found sneakers that had straps. Viva la Skechers! Anyway, back to the first day. She picked out this princess backpack from Target and I love that she’s still into this sort of thing. There will be a time – and it’s coming up – where Natalie will be too cool for this sort of thing. So, I’m milking it for what it’s worth. Check out her school supplies! We order them from the school and it definitely saves time running around the stores trying to get through the list. But it was so HEAVY! That poor girl had to carry it into her classroom on her own because parents aren’t allowed to walk in with them. I can’t imagine how she did it. She told me everything is in her desk. Her very own desk. She is elated! 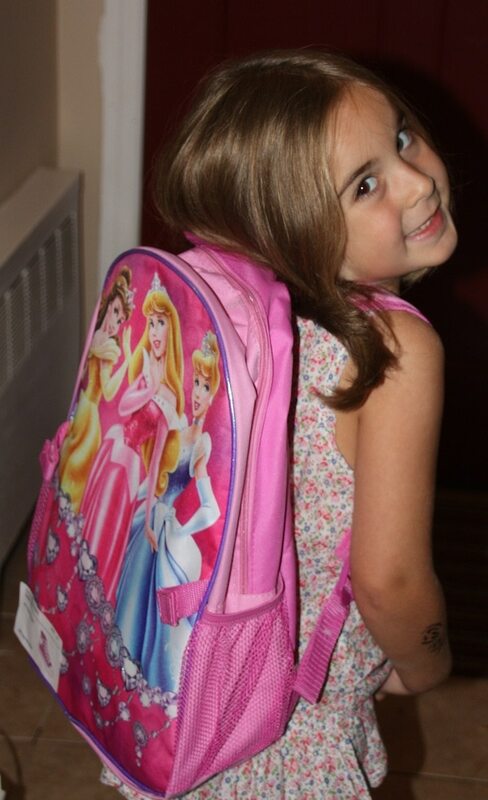 When she came home, I ripped open her school bag looking for some homework or a letter or a form. ANYTHING! I was so into the whole thing. 🙂 There was a few items to take care of which was good enough for me. Day one accomplished… only 184 left. 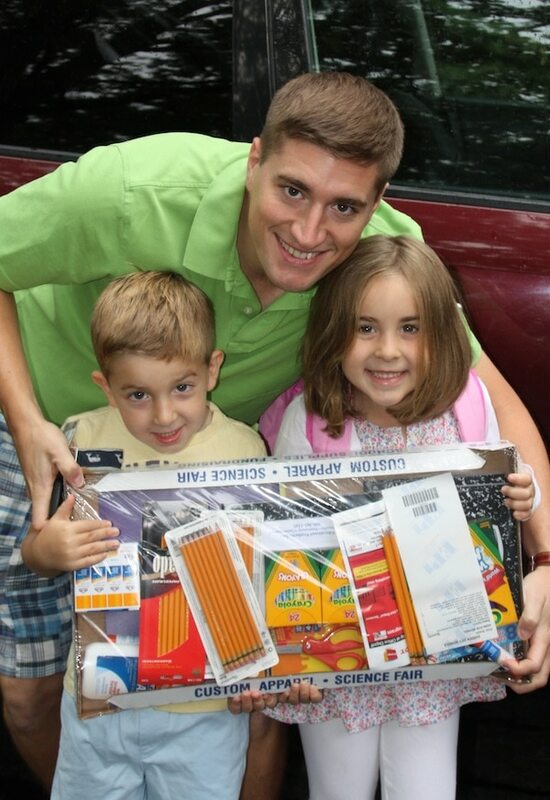 A friend of mine was just talking about her kids’ school doing that whole “ordering a prepacked box” thing for the supplies, that is such a great idea. Those shoes are adorable. 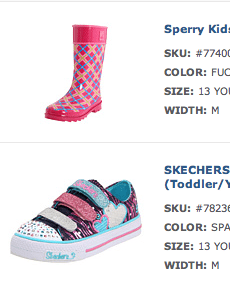 I wish they made some of those awesome kids’ shoes in adult sizes. LOL!! !